Japan is often spoken of in the context of being one of the nations in Southeast Asia that has a problem with space, especially living space for its population. This creates the notion that Japan is lacking in terms of natural vastness due to nature having to make way for civilization – which may be true for the locates immediate to the big cities, such as Tokyo or Kyoto. Regardless, Japan does in fact have much to boast about in the outdoor department. The Kushiro Shitsugen National Park is one of the areas that can be described as a vast expanse of nature – one of the locations in Japan that can be considered uniformly natural, home to much of the Land of the Rising Sun’s flora and fauna. The park is located on the island of Hokkaido, which forms the northern part of the country and is the second largest island. The park takes up a significant part of Hokkaido’s eastern part, founded mid 1987. Its size is impressive, measuring in at over 250 square kilometers (100 square miles). What makes the park unique is that it is commonly known as Japan’s wetlands, swamp and marshland all rolled into one, home to a very specific kind of ecosystem. Here one can find the single largest collection of reedbeds located on the Kushiro Plain, in Japan. The national park is also the home of the Kushiro River which spans over a length of over 150 kilometers (90 miles), connected to the Kussharo Lake, two very impressive sights to see. The park actually serves as a national monument and is not easily accessed by anyone – visitors are normally restricted to viewing areas and tour-guided locations, often visited in order to see some of the famous local wildlife. Kushiro Shitsugen National Park hosts the famous Red-crowned Crane, or more commonly, the Japanese Cranes, a breed of cranes believed to have been extinct in Japan until a near miraculous discovery of a small herd of them living in the area in the early 20th century. Since then, the species has been heavily repopulated through breeding programmes and number in the thousands throughout the wetlands. The more biologically inclined may also enjoy the view of over 600 different types of plants that populate the area. The lake and river are also the habitats for the Danube Salmon and if lucky one might spot the small Siberian salamanders that live in the dense forests. 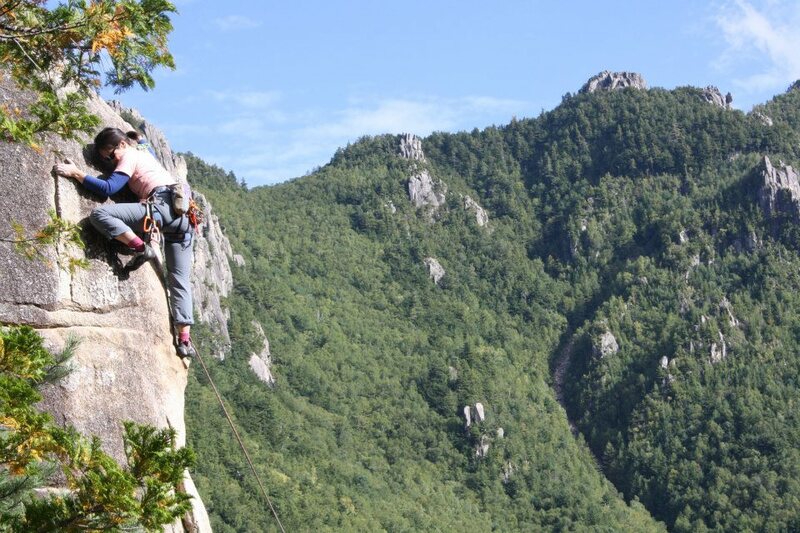 Rock climbing is an increasingly popular outdoor activity among the more adventurous outdoor enthusiasts who simply cannot settle for just walking around to enjoy a sight. Of course, in order to participate in some sort of rock climbing, one must find adequate rocks to conquer and it just so happens that Japan has some great rock climbing destinations. Ogawayama is one such destination. Ogawayama is a mountain located between two of the Japanese prefectures, Yamanashi and Nagano, both known for their plentiful nature and culture. The mountain reaches almost 2,500 meters (1.6 miles) into the sky and is widely considered as one of the best rock climbing destination found in the Land of the Rising Sun. The rock is made of granite, a good substance of rock to be conquered when rock climbing. A defining characteristic of the Ogawayama mountain is that is rather ideal for climbing – there are many slabs of rock along its slope to make use of, many cracks and splits in the face of the mountain to find adequate grip in, and plateaus to find to rest on before moving up higher into the mountain. Ogawayama is also the home of some famous boulders in the rock climbing community. Names that might ring familiar for those intimately involved with the sport are the Banshousha slab boulder and the Captain Ahab boulder. The mountain faces the issue of crowding – meaning that it has become popular to a point where rock climbers must actually wait for a certain part of the slope, called a route, to be freed of other climbers before they can start their own. The site has become very attractive to climbers, both foreign and local, especially for its diversity in routes and difficulties. Some parts of the mountain are notoriously difficult to conquer and require real experience and a lot of caution, while some are as easy as the rocks and trees children climb on a daily basis. It is to note that visitors might be facing routes that have no pre-existing gear on team, meaning that there are no pre-installed metal rings or loops to attach one’s safety gear on while rising in terms of height. Also, Japan is home to a large variety of weather conditions, making it crucial to be able to gauge the weather on a specific day. The area Ogawayama is located in is known for its strong torrents of rain and lack of little drizzles as it will either drench the area inches deep or not rain at all. Any outdoor enthusiast would find themselves hard pressed to visit the Land of the Rising Sun and find themselves unable to engage in whatever outdoor activity they might have a fancy for. 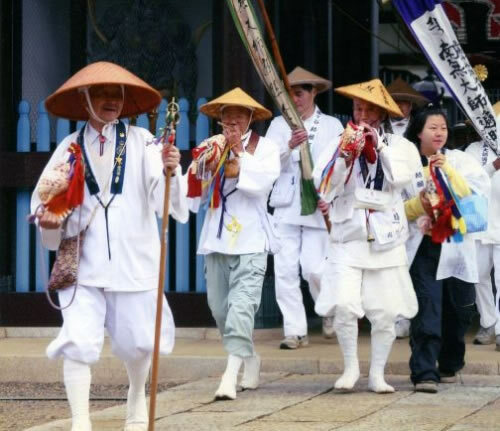 With the nation’s impressively diverse types of the great outdoors, Japan is a practical heaven when it comes to doing things outside. Given that Japan is an island nation, one would find it obvious that water-based activities are a definite kind of thing to do when in Japan. Japan is home to many different types of diving spots and offers some great opportunities for both beginner and experienced divers. Those with a SCUBA diving license will find themselves well-accommodated by the Japanese waters and its colorful local wildlife. When visiting the capital, Tokyo and its prefecture, one mustn’t travel all that far to find some great diving opportunities. The Izu Peninsula is located conveniently for those staying in Tokyo and has some great spots to dive in to boast about. 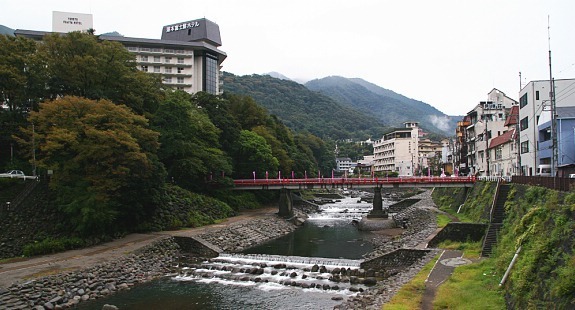 The peninsula is located in the Shizuoka prefecture, only roughly 100 kilometers from the country’s capital, virtually just a bullet-train ride away. Despite the area’s tendency to become crowded during public and school holidays, not surprising given its location, there is much to see and explore, so much in fact that one is unlikely to find themselves in the same spots twice. Another advantage for the divers are the nearby 7 islands which also offer their own niches in terms of Scuba diving, and can be reached by public transport. 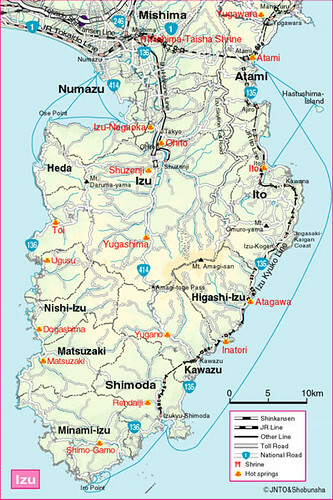 The most popular of the 7 island is East Izu, which sports ideal conditions for diving all year out. 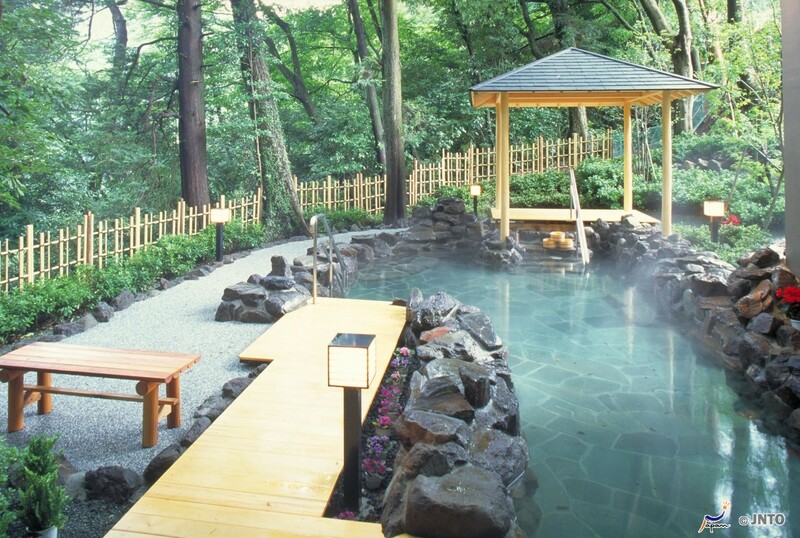 For those wishing to combine a diving trip around the Izu Peninsula with something more relaxing, the small town of Atami is just a stone throw away, a town famous for its excellent hot spring resorts. Those on the lookout for a more diverse dive should head to West Izu, the place wherein the most amount of dive operators conduct their business. This makes the location ideal for beginners, with a few of the beaches being filled by divers. Another interesting fact to consider is that West Izu is home to diving spots protected by a cove, meaning that diving happens all year around, even among a storm. The south of Izu also offers a variety of diving experiences, with Mikomoto being the most popular destination there. It takes quite a while to reach the ideal locations here, having to spend up to an hour on a boat to get there. These dives are aimed at the advanced divers, those with plenty of experience and the clearance to participate in deep dives of this level. When one thinks of camping, one normally has the image of being in the wilderness, sleeping in a sleeping bag and tent in between hiking from place to place. If not, then it’s ordinary staying at a campsite along with friends for the sake of not being in the city and to experience nature a little more intimately. However, such an activity might not be suited for everyone. For those that wish to experience something new, something different, urban camping might be answer they’re looking for. Urban camping is, in its most basic sense, camping like one would in the wilderness, but doing it within urban areas. This can be done in many places, with the most common being open air public parks, playgrounds or other such areas. Urban camping was invented, and is done, for a variety of reasons. Some use it as a means of cutting costs while backpacking as some locations, especially the larger cities, come with higher prices in terms of accommodation, prices that might not be covered by one’s budget. Others simply do it for the thrill of doing something new and to experience their city in a way they haven’t before. Before one decides to try this form of camping in Tokyo, one should familiarize oneself with the customs of Japan and potential problems one might face. It is important, especially for foreigners, to distinguish oneselves from being homeless and merely being a camper as some do frown upon the activity. There are many places in Tokyo for one to engage in urban camping – and for those trying it out for the first time, Japan is the land of creative and odd, so one might as well step outside of one’s comfort zone and learn something new. There are many smaller and quiet parks in Tokyo’s outskirts, around the residential areas, that are ideal locations to set up camp in for a night or two. The ideal ones are the quiet parks that aren’t frequented by the homeless, who may not be a danger on any scale, but might make the experience less comfortable. 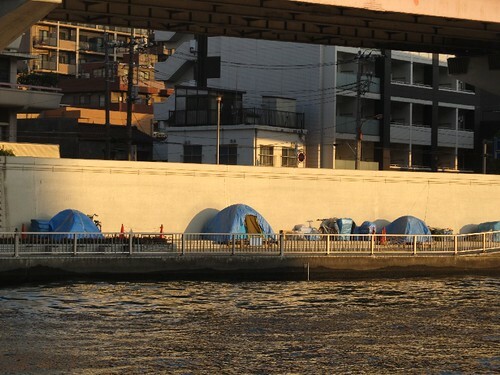 If one is overwhelmed by the amount of noise and people downtown Tokyo seems to be simply home to, a common strategy among urban campers is to simply get onto a train and get away from the city by a few stations and then set out to find a quiet park nearby to camp in. Japan has gained a lot of international attention with its Shinkansen – the world’s busiest high speed train line. Aside from the feat of modern engineering that allows the bullet trains to function, the Land of the Rising Sun is home to one of the best public transportation systems on the planet. However, one does not always have to be the fastest to experience the most. That seems to be the motto behind the Norokko Train. The Norokko Train is Japan’s slowest train and while that may seem to be negative, the way the train is used maximises its potential and turns its weakness into a strength that attracts thousands of tourists every year. One of the most grandiose natural sights to see when visiting Japan is its huge natural wetland and marsh habitat, encased by the Kushiro Shitsugen National Park. 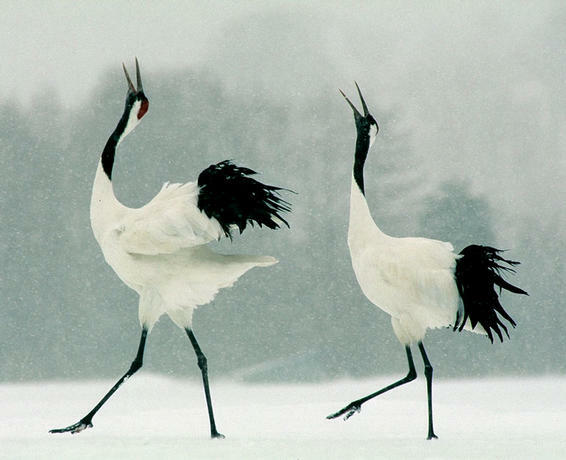 The park is home to the famously endangered, black and white colored Japanese Cranes. The cranes were thought to be extinct throughout all of Japan until a small group of about 20 were found living in the marshes around Kushiro. Since then, they have been taken care of exceptionally and have made a remarkable recovery, number in the 1000s now. However, much of the wetlands and marshes are not traversable on foot – one, due to their size and two due to the danger of wandering around in wetlands. This is where the Norokko train comes in – a solution for those wishing to experience the natural beauty of the area. One of the Japan Rail’s routes does traverse through it, Hokkaido’s Senma line to be specific. During the months of April to late September, visitors can take the Norokko Train to slowly cruise through the wetlands at 20 km/h and see the sights of the area. An added benefit is that the Norokko Train is fully covered by the Rail Pass, making it very convenient for visitors to climb aboard and take the slow tour. 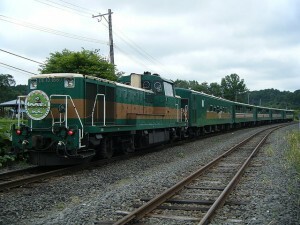 The train also hosts an open-air observation deck, making a ride through the Kushiro wetlands a true outdoor experience. The crew on-board is more than happy to provide visitors with information about the wetlands, and point out the most scenic spots or places the famous Japanese Cranes can be viewed from regularly. It should be noted that the train operates from very specific stops at rather specific times and dates, which should be taken into consideration by anyone wishing to explore the wetlands by the means of the Norokko Train.